Pastors, here’s a creative idea. Choose a Christian book to incorporate into a sermon series (4-5 weeks), and make copies available to church members. At the end of the series, invite the author to come and speak. After the service with the author, host a potluck with a Q & A discussion time about the book. 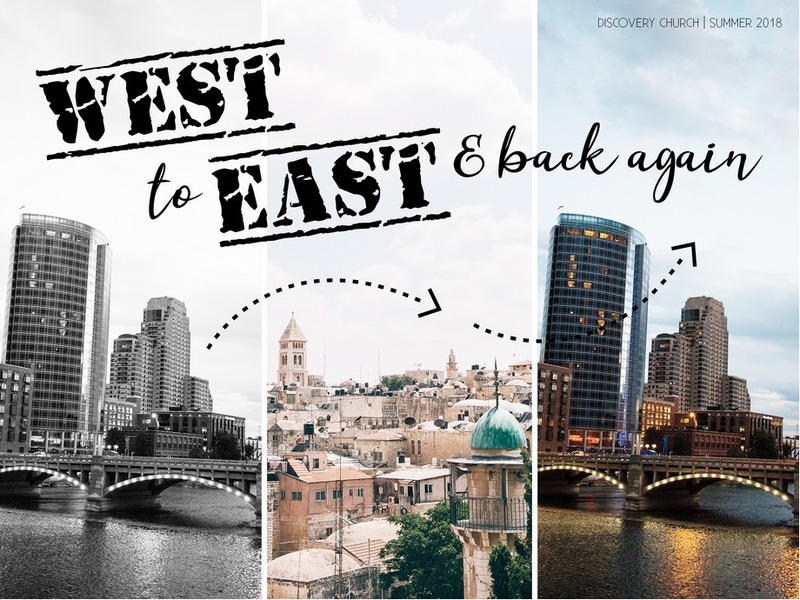 That’s what Discovery Church in Grand Rapids, Michigan has been doing with my new book, Reading the Bible with Rabbi Jesus in their series called “West to East and Back Again.” On Sunday, July 15, 2018, they invited me to speak at their 10 AM service. In my talk I reflected on what I learned in the writing of the book, especially about the great commission and my own WEIRDness. You can listen to Pastor Paul Sausser’s messages at the links below. He is also well-read on Jewish context and has traveled to Israel, and adds many of his own contextual insights to his messages about the book.